Most people really have little clue about what they can do in case of a nuclear accident. Research and surveys conducted in Japan after the Fukushima meltdowns revealed that many people didn’t really know what they could do, and exposure to radiation among citizens could have been significantly lower if they knew what was safe, what wasn’t and what they could do to protect themselves better. The widespread disinformation about radiation being harmless to certain kinds of people or in certain conditions, raised safety limits and such don’t help matters either. Similar stories come out of Chernobyl. I think such information should be widely distributed in all countries that use nuclear power or weapons, so that in the even of an emergency, the human damage may be as minimal as possible. So here is what I have found out. Most of this information is from information shared by various people who went through these measures or official instructions. It you have something to add, please comment. If a release of radiation is possible/expected, but has not happened yet. 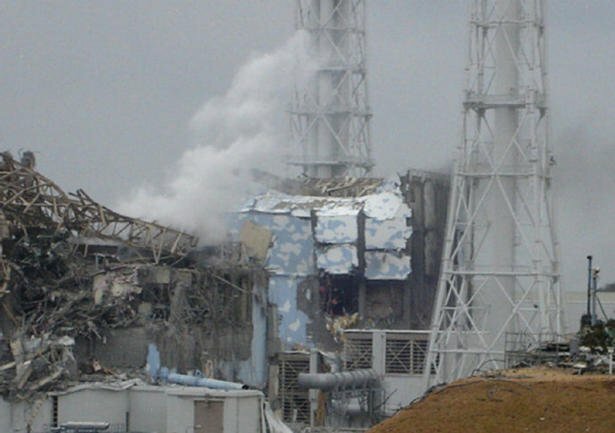 (The reactors at Fukushima, for example failed after the earthquake, but it was a while before radiation spread). Charge your phones, laptops and anything that needs charging – priority communication devices. Switch on the TV/internet and follow any news and instructions that may be given. Store drinking water in bottles, utensils and other air tight containers. If there is time, buy food that will last long – in sealed packets. Procure iodine tablets if available, but don’t take them unless radiation is confirmed and instructed. Secure an area with minimum possibility of radiation and dust entering. Basements are good if you have access to one – the ground around is a good shield, or at least shut and seal closed windows, etc. Choose a room that doesn’t face large open spaces if possible. If there is a burst of radiation expected, try to add “shielding” to outer walls, doors, windows, etc. Moving a cupboard in front of a glass window, taping several layers of newspapers, fixing thick quilt, etc for example. Lead, concrete and steel are very good, but anything will work if sufficiently thick. Set air-conditioning to recycled air. Follow all the above steps as far as possible without risking contamination. Wear mask to cover nose and mouth to prevent inhaling radioactive particles. This is the greatest danger in a radioactive environment (even greater than ingestion – dust masks have been observed to reduce this risk to near negligible levels. Avoid going out, unless it is to evacuate. As far as possible decrease time spent exposed to radiation. Do not handle contaminated (or suspected contaminated) objects with bare hands as far as possible. Ideally, use uncontaminated instruments to add distance. Tongs, dustpan and stick… whatever. If you have been out, have a thorough bath, bathe pets with you to prevent re-contamination. Bag and place used clothes outside the house. Use food and water sparingly. Avoid using tap water till it is confirmed free of contamination. Follow guidance on news media and rescue workers with regard to safety. When following instructions, remember that the instructions from nearest your location overrule others in case of contradictions or differences in guidance say – in national media and local rescue workers. Wear your face mask at all times. Wear full sleeved clothing, shoes and rubber (or other) gloves as far as possible. Pack essentials – money, papers, medications, portable valuables and clean food, water and clothing. If you have your own vehicle, use it with windows closed, air-conditioner recycling air. Avoid exertion that requires you to breathe harder. Avoid touching any objects in the open as far as possible. If necessary, use a tool to keep distance or use a clean barrier you can discard. On reaching safe location, follow all decontamination instructions carefully. As you can see in all these instructions, the idea is to minimize exposure to radiation and radioactive particles through minimizing contact and exposure. So you can use common sense and improvise to ensure this when in doubt. Here is to hoping we never need to use this information. At the same time, like most people never face a fire or dangerous earthquake, but learn what to do as a part of preparedness, I think information on radiation safety should also be widely circulated. It adds to knowledge and it can save lives. http://en.wikipedia.org/wiki/United_States_civil_defense. These functions have since been taken over by Federal agencies such as the National Disaster Management Authority, in the case of India. They also have an interesting paper by a High Level Committee on reviving Civil Defense in India, a worthwhile effort in my opinion – http://ndma.gov.in/ndma/guidelines/Civil-Defence.pdf – and as usual, not that well covered by the media. Great advice in case of a nuclear disaster. How about covering yourself with plastic. I think first and foremost is do not spread rumors. Nuclear accident is not like a bullet. There is adequate time after the need for evacuation has been authorized. The public at large in case of Fukushima accident was not subjected to radiation because evacuation was timely, orderly and conducted in a disciplined manner. No body needed to take precautionary iodine tablets, though these were distributed because evacuation was completed in a timely manner. So better to follow the instruction issued by the authorities and at all costs avoid commotion in any accident. You need to follow news from Fukushima more carefully. People indeed were contaminated. There were instructions, but they were not sufficiently detailed, and they came *after* contamination happened. Evacuees from many places are reporting health problems, problems with children’s healths in particular. 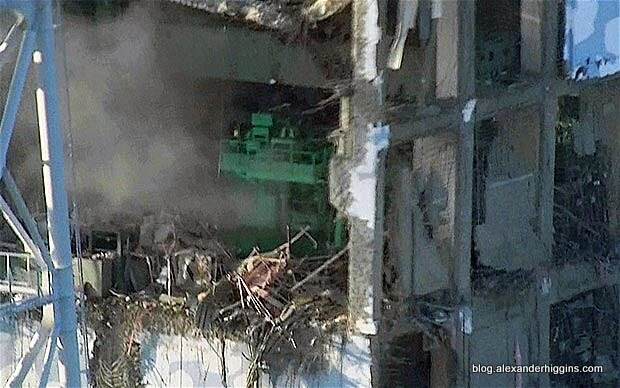 TEPCO has come under great criticism for not releasing crucial information about release of radioactivity in a timely manner, and the Japan government itself has come under criticism for exposing people to radiation by being reluctant with evacuations. There are still areas OUTSIDE the evacuation zone that have high levels of radioactivity. There is groundwater, food, fish and livestock found contaminated. Some plants have been found to have exceptionally high levels of radiation and in the pollen season, the pollen from these will be a problem. I have gone through considerable effort to make this list. Discount it if you wish, don’t try to provide false information to justify it. Crap advice. Follow authorities or disaster management team tell u that time.